Lately we’ve been providing a lot of corporate entertainment for retirement villages, shire councils, awards dinners etc. It got me thinking how a business/corporate environment can gel so well with the arts/string quartet. 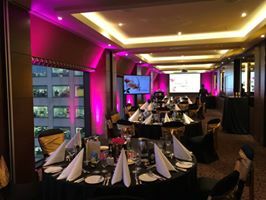 Typically while many weddings play out on weekends, corporate functions can be later on any given evening and into the night, so this opens up a lot of availability for us. 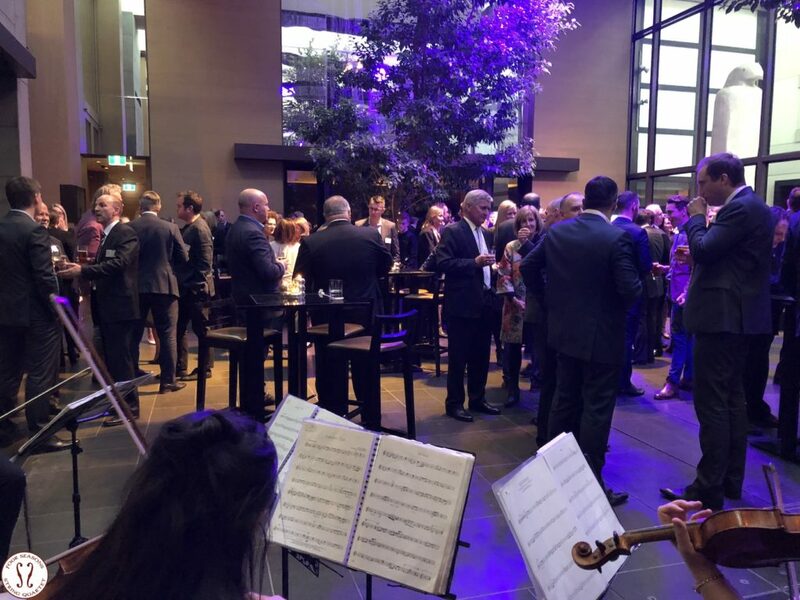 It always strikes me when we’re performing for corporate engagements, say for a sit down awards dinner for example, our live string music isn’t there as a headline concert type act, but rather background music; this encourages chat, a relaxed atmosphere, even a talking point in itself. I always try to imagine what these functions would be like without our music, and can only hear the clunk of knives & forks on plates. Loving our corporate engagements, this time as a trio. The proof is in the pudding. So much of our corporate work is repeat business, which is very rewarding for us and makes me proud to know that what we do and how we do it is a recipe for success for our clients. It indicates that a business cares about their client’s comfort, and has put thought into an event for everyone’s benefit. Naturally, we can work around your itinerary. Many corporate functions have awards, speeches etc, so we can tailor our music to suit the flow of your occasion. 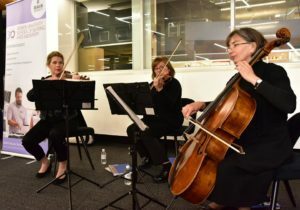 I would like to thank you – the Four Seasons String Quartet for absolutely beautiful music which made our event so special. We received fantastic feedback from participants of the event. They appreciated great talent of the musicians, great choice of repertoire and elegant appearance. THANK YOU.